When restocking your class “C” components, it’s a real chore juggling all of the necessary responsibilities. 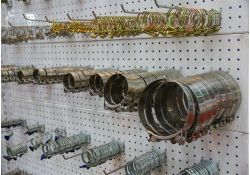 You’ve got to take an accurate count of your inventory, determine the correct stock levels, then find a supplier that can source and deliver a steady stream of high-quality parts. Thankfully, you have options. 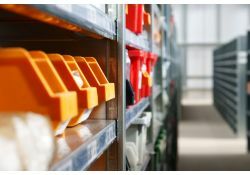 Vendor managed inventory (VMI) is a great way to reduce the hassle of maintaining your inventory. By offloading the need to physically track your inventory with hand counts, VMI allows you to focus on more important – and more productive – tasks. Have you had trouble sourcing cost-efficient, timely, and high-quality class "C" components? Do you feel, often, that you can't have all three qualities? That you have to choose two – cost-efficient, timely, or high-quality – at the expense of the third? If so, we're happy to tell you that your dilemma is over! 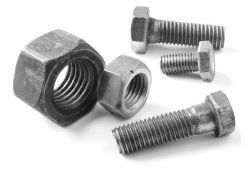 ASF Components is a dedicated supplier of the industry's best class "C" components and, more importantly, we maintain a firm commitment to upholding strict quality standards. With a wide range of quality checks performed in house, we are the industry's leading supplier of dependable, consistent, and cost-efficient components. Getting the parts that you need to keep your operation running is only half the battle. The other half, naturally, is ensuring that those parts are dependable and of a high quality. If you're sourcing your parts from a supplier that isn't performing their own quality checks – thorough quality checks – then you're wasting precious time on returns and internal stock management. 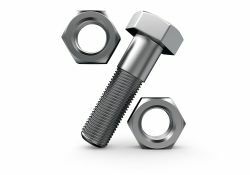 Choosing a source for your company's class "C" components can be challenging. As you are entrusting your provider with maintaining stock levels, juggling product options, managing lead times and ensuring quality, it is imperative that you trust the supplier that you choose. You must be able to rely upon them as their decisions will be a reflection of your company. Thankfully, your decision can be made easier by selecting a provider that is ISO 9001 certified. Showing that accompany has implemented steps to ensure consistent quality, ISO 9001 certification is a reliable, surefire way to determine whether or not a supplier will rise to meet your exacting standards.